ISIS. The U.S. and its allies are hitting more ISIS targets in Syria. Overnight airstrikes pounded oil refineries believed to help fund the terrorist group's operations. War planes also struck an ISIS headquarters and training camp. Meanwhile FBI Director James Comey says the U.S. believes it has identified the man speaking in the ISIS videos in which Americans James Foley and Steven Sotloff and British aid worker David Haines were murdered. Subway plot? U.S. officials say there is no indication of a terrorist plot against U.S. subway systems. Iraqi Prime Minister Haider al-Abadi said his country's intelligence agency had uncovered an ISIS plot to target American subways. "We have not confirmed any specific threat," Deputy National Security Adviser Ben Rhodes told reporters aboard Air Force One. "We want to review the information from the Iraqis and seek to corroborate that. In terms of specific plotting, we'll have to follow up with the Iraqis." Syrian rebels. A group of Syrian rebel commanders have signed off on what they are calling a historic agreement to fight ISIS and Syrian President Bashar al-Assad. Under the agreement, moderate Muslim rebel groups fighting under the Supreme Military Council in Syria will partner with the predominantly Christian Syrian Military Council. The deal also calls for the groups to work together to assure any free Syria will be inclusive of all ethnic, religious and political parties. The agreement follows Congress' approval of President Obama's plan to train and arm moderate rebels to fight ISIS. Attorney General Eric Holder. The nation's top lawyer is resigning after six years on the job. His tenure was sometimes marked by controversy, including gun trafficking controversy known as Operation Fast and Furious that led to him being the first sitting cabinet member to be held in contempt of Congress. 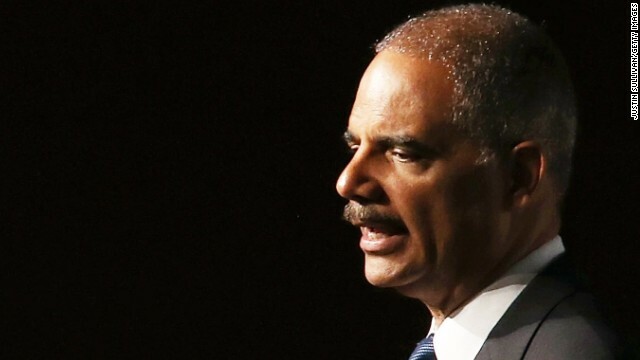 But Holder's supporters praise his Justice Department's response to the unrest in Ferguson, Missouri as well as his fight against voting restriction laws and advocating for changes in sentencing guidelines in certain non-violent criminal cases. In announcing Holder's resignation, Obama praised his friend and expressed gratitude for Holder's service. "I just want to say thank you, Eric, thank you to the men and women of the Justice Department who work day in and out, for the American people, and we could not be more grateful for everything you've done- not just for me and the Administration, but for our country," Obama said. Holder will remain attorney general until his replacement, who has not been named by Obama, is confirmed.